The French take that cliché about the dead body in the library seriously. So seriously, in fact, that they’ve created a public library devoted to dead bodies. Located behind a fire station at 48 rue du Cardinal-Lemoine (Hemingway once lived a few doors up the street) in the heart of the Latin Quarter, the Bibliothèque des Littératures Policières, (Library of Crime Literature) is, however, more than just a treasure trove of every kind of writing related to crime fiction. The atmosphere, however, is not too serious. A life-sized wooden cutout of the silhouette of a man in a fedora with a pistol in his hand points the way to the entrance to the library. The foyer is an exhibition space where they celebrated the 50th anniversary of the Série Noire, showed paintings by Claude Gazier based on scenes from famous crime films, and where they will have a Sherlock Holmes anniversary exhibit. (One of the foyer’s walls, a brick wall about four meters high is a tourist stop on its own, being part of Philippe Auguste’s 13th century barrier that surrounded Paris.) A conference room just off the foyer seats 50 people and is also used for exhibitions. A Sherlock Holmes exhibit is currently running throughout the summer. But while the atmosphere is not particularly grim, the collection of books is dead serious. The reading room in this library of over 700 square meters – built at a cost of over $1 million – contains 3,500 reference volumes. The magazine racks have all the latest mystery titles from Europe and the U.S., from Ellery Queen to Murderous Intent, and of course, The Armchair Detective. Over 40 different specialized crime/mystery periodicals are on file. The reference books are primarily in French, but there are plenty of English works covering such areas as historical works, thematic studies, bibliographies, espionnage, and true crime. One area is devoted entirely to books about the different techniques of killing people: poisons, bludgeons, guns, etc. Another is for the offshoots of crime fiction such as a film book area, featuring books about Hitchcock, for instance. The 20 seats in the reading room are for use by the public and there is no membership fee. The 30,000 volumes of the fiction collection are stored on the second floor and accessible only by the seven librarians via an elevator that requires a secret code. (Library users may read the novels in the reading room, but they may not take them home.) Here are located also the rare crime film publicity posters, typscripts, and the 2000 files from over 10 years of newspaper and magazine clippings on specific writers, true crimes, themes, and events related to crime literature. The historic magazine collection of 4000 issues is stored here too, such as the complete set of the French Détective magazine going back to the 1930s. The air in the stacks is maintained at 50 percent humidity, and the heat at 17 degrees celsius. What makes the BILIPO’s collection authoritative is that it was accorded the official ìDÈpÙt LÈgal” for crime fiction from the French government. Since 1927 this law decreed that one copy of all crime fiction books published in France must be deposited in the BibliothÈque Nationale, where they were originally kept in the Arsenal Library. The Dépot Légal crime collection of 9,000 books was first sent to another public library in the Latin Quarter, in the rue Mouffetard, in 1984. But it did not include the mystery novel in France before 1927, and there were gaps in the collection. An acquisitions budget was created to fill in the holes and buy up earlier works. The library also benefitted from some important donations. The renowned Gallimard publishing house no longer had the space to keep its Série Noire collection and gave it to the library. The son of Régis Messac -an academic, who in 1929, wrote the first university thesis on crime fiction in France – donated his fatherís collection. 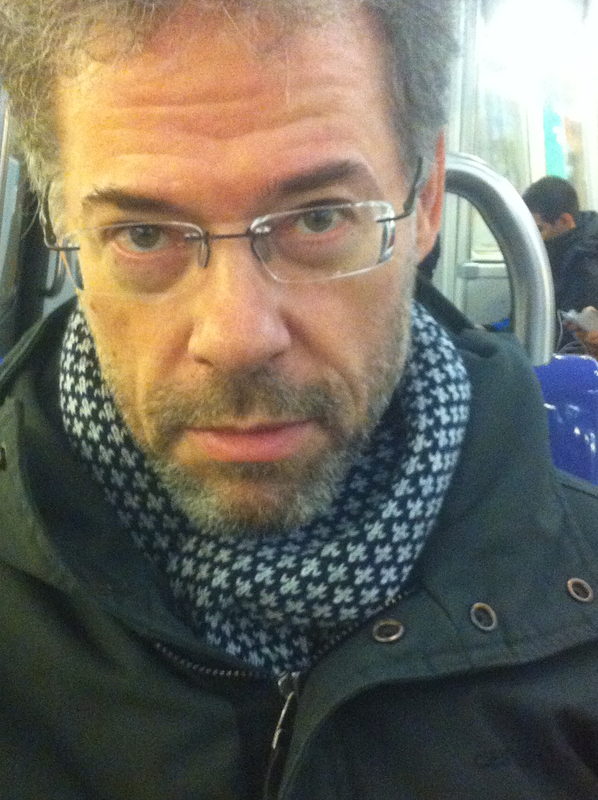 Pierre Boileau of Boileau-Narcejac (who wrote the book D’Entre deux morts that Hitchcock based his film Vertigo on) left all his translated works. 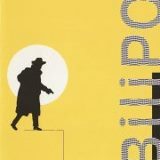 And so the BILIPO came into existence as the official resting place of all crime fiction published in France. The librarians are all fans of the genre, and one of them, Michèle Witta*, travels France to teach courses to other librarians on the mystery genre. Witta, Chauchard, and other librarians of the BILIPO also make up the editorial board of an annual catalogue called Les Crimes de l’année. A group of librarian readers from around the city of Paris contributes thumbnail critiques of the best mystery fiction to come out in the preceding year in France. The guide is about 200 pages of detailed bibliographical information about the novels, collections, periodicals and practical information concerning the mystery genre in France. It is aimed primarily at libraries and bookstores, but is also of use to the public. * I have learned with great sadness that Michèle Witta died in September 2010. Thanks so much for sharing about this place! Of course, as an author and a lover of books, I intend to add to my list of places to visit, but a friend of mine is about to leave for a long trip and will also be in Paris AND loves and has written in this genre. So, i Have shared it with her. Thank YOU. It’s so great to feel that putting up posts like this can help people. Indeed! And my girlfriend has assured me she will visit this library herself! Brad, I had the usual hassles trying to become a writer, finally three years ago I started to publish Sherlock Holmes novels – and then… Just saw this (Australian) review of my novel ‘the Bulgarian Codex’ – warms a chap’s heart!